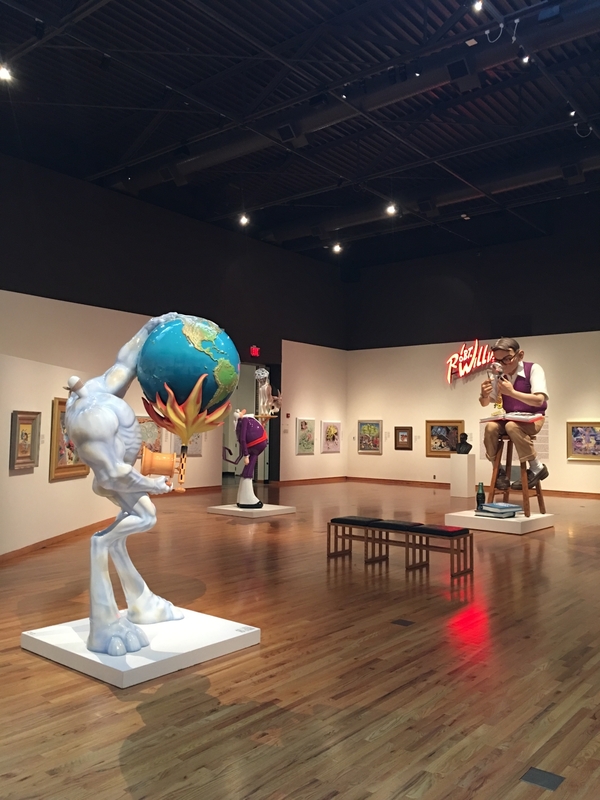 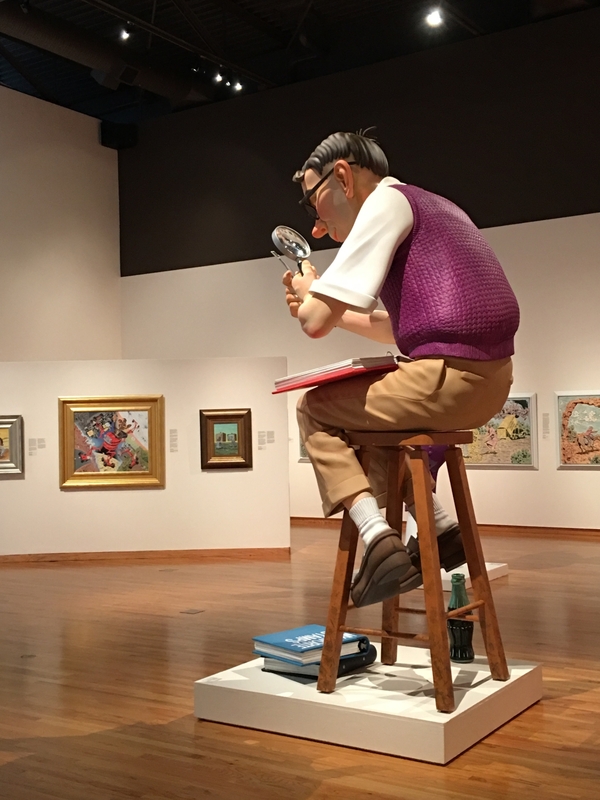 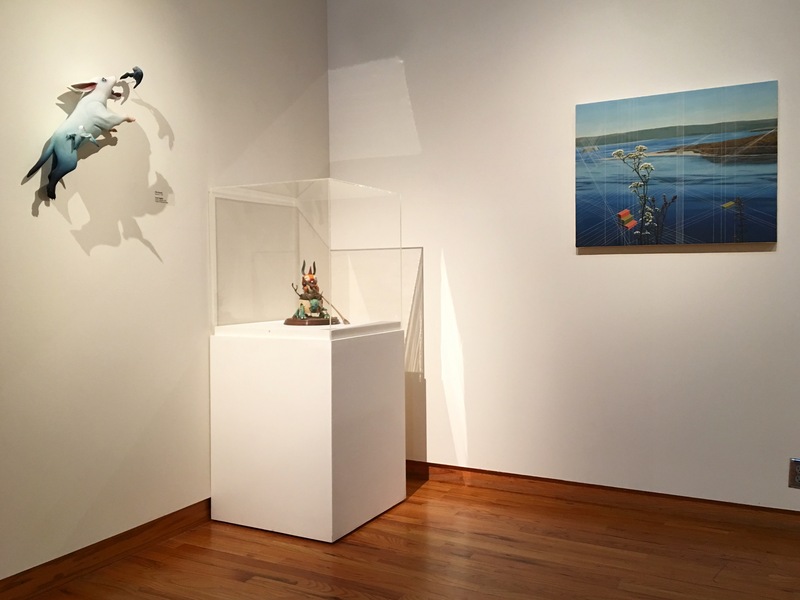 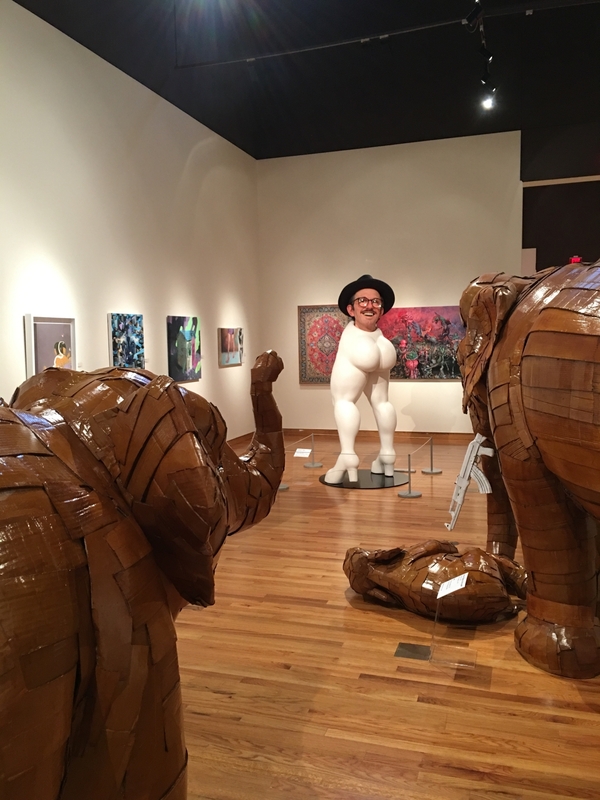 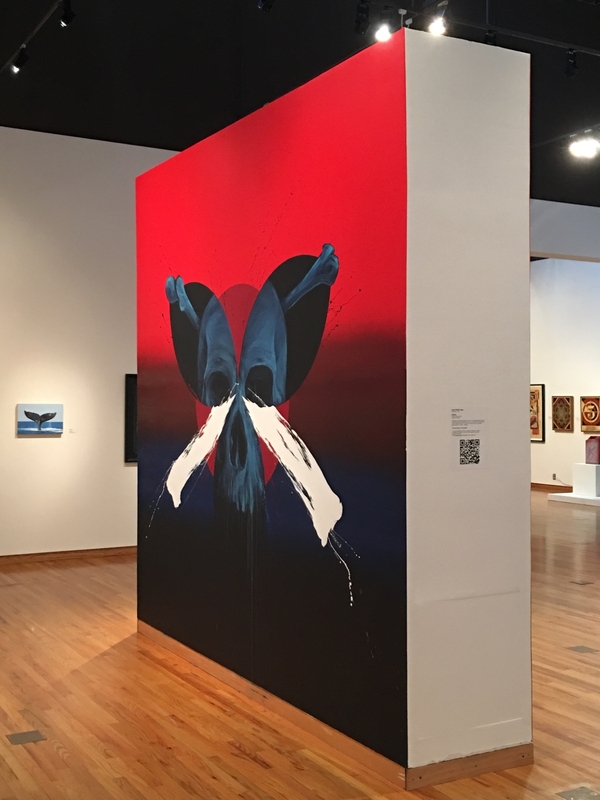 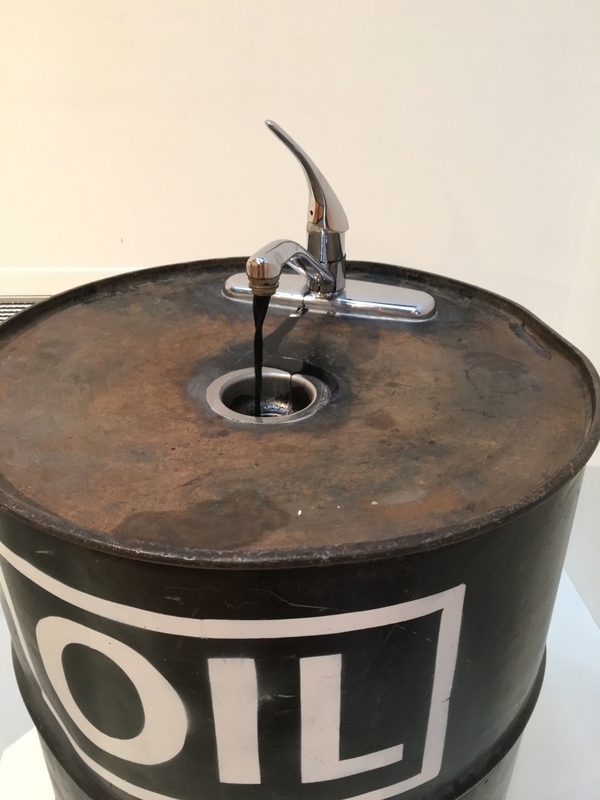 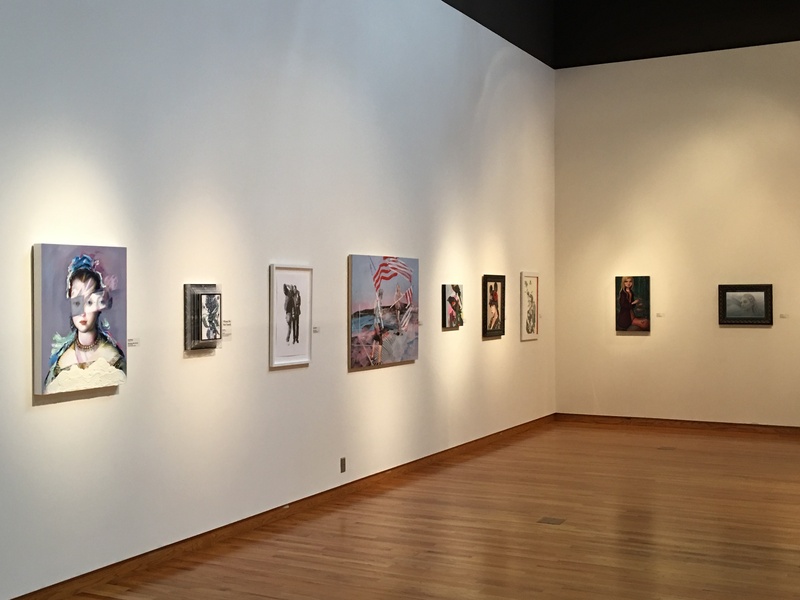 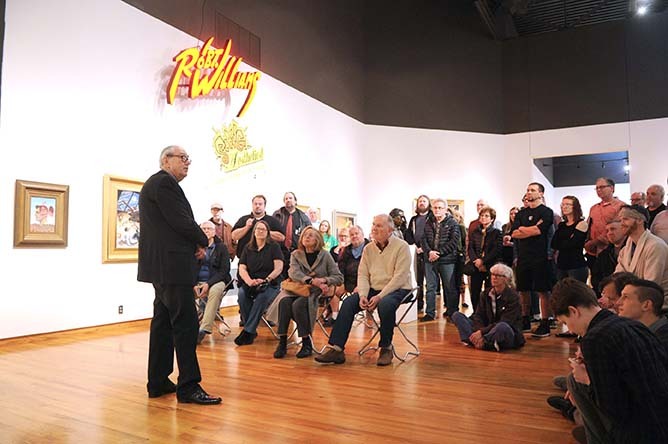 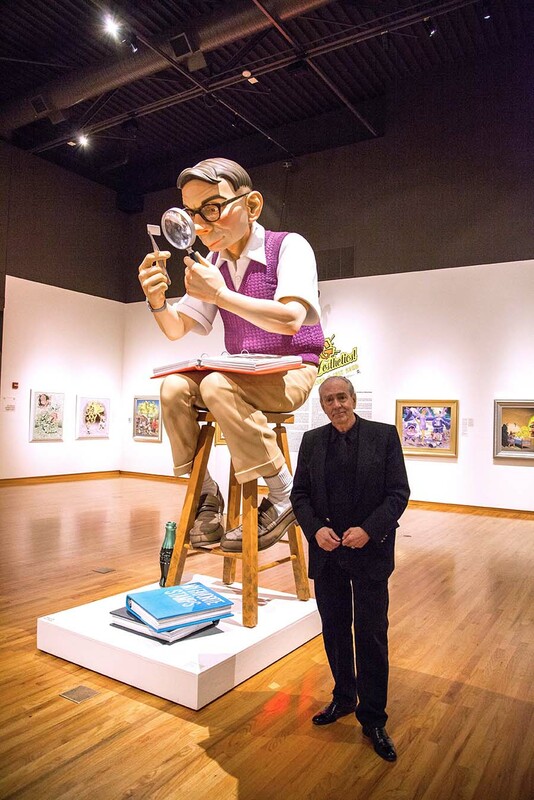 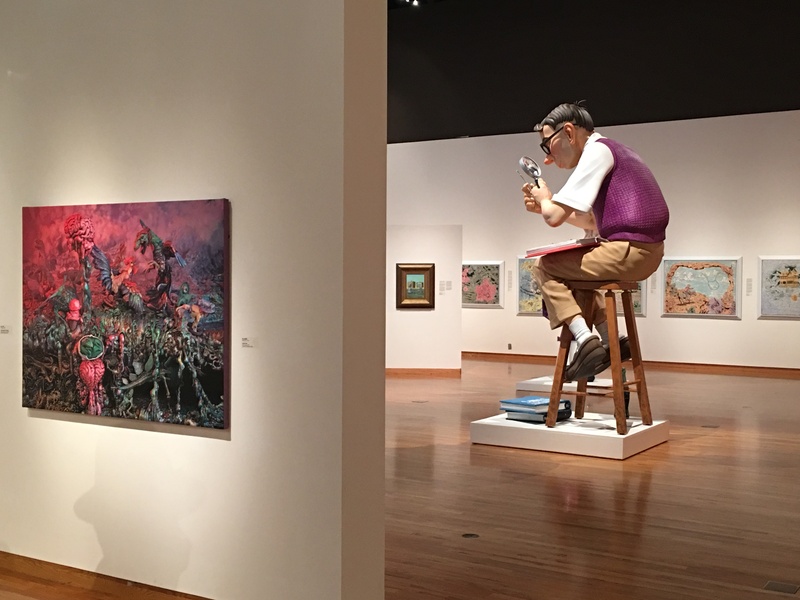 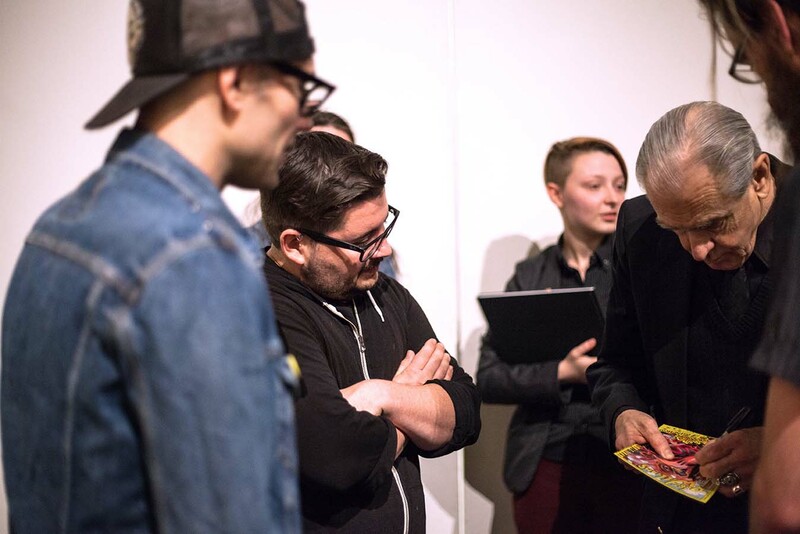 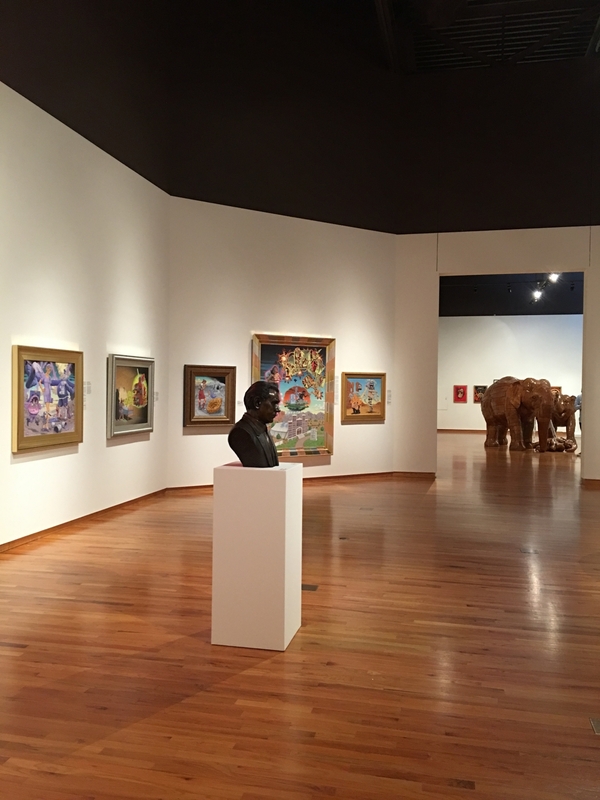 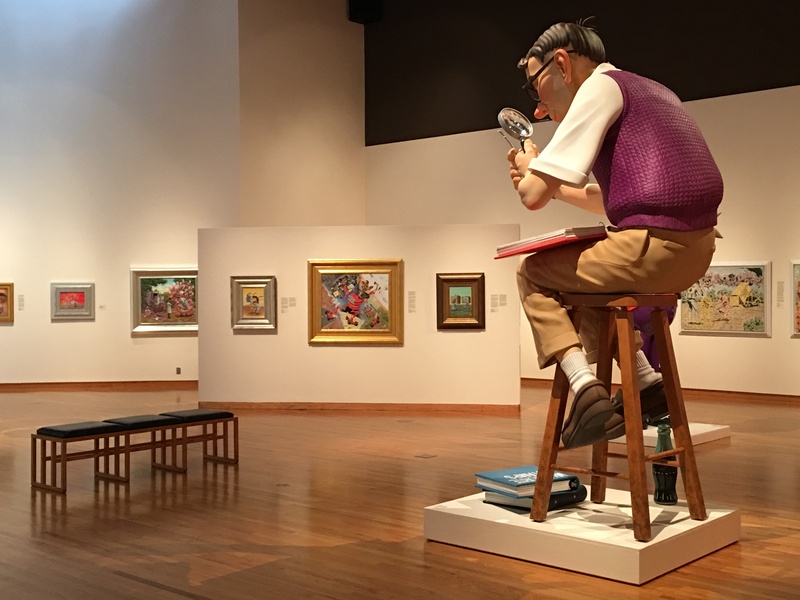 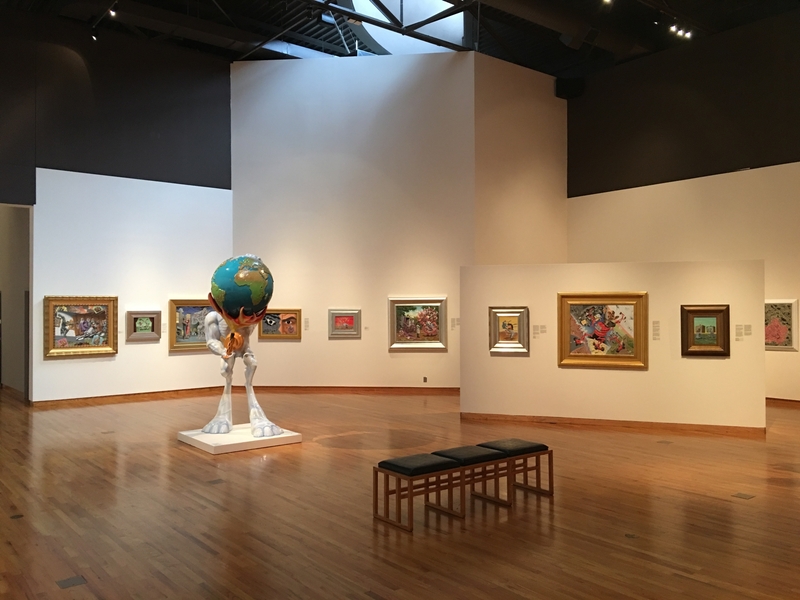 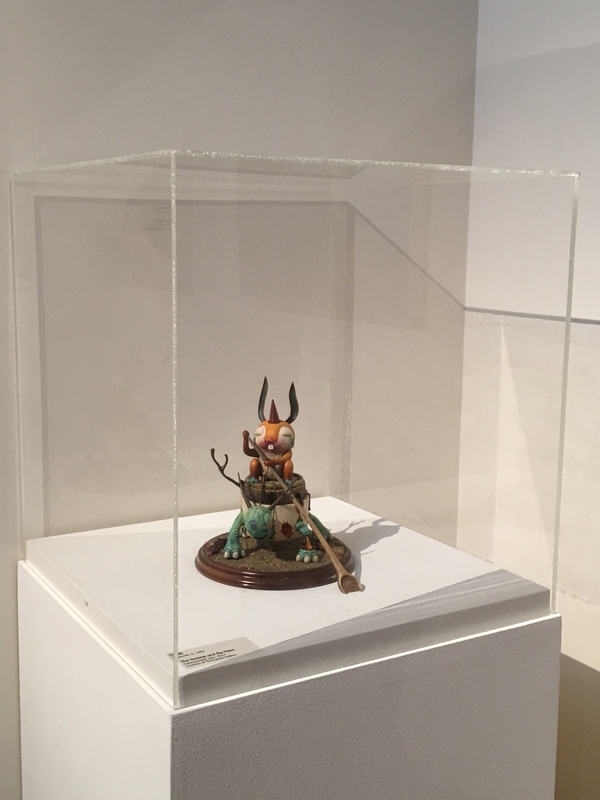 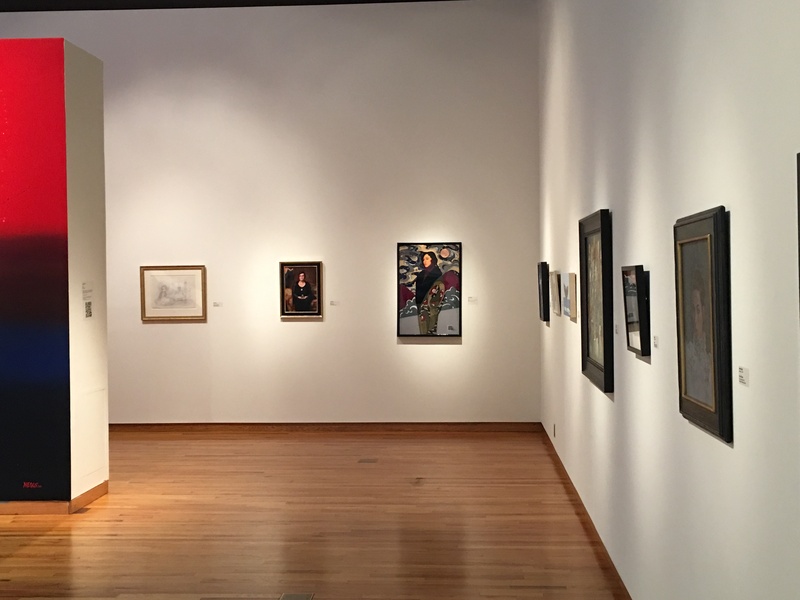 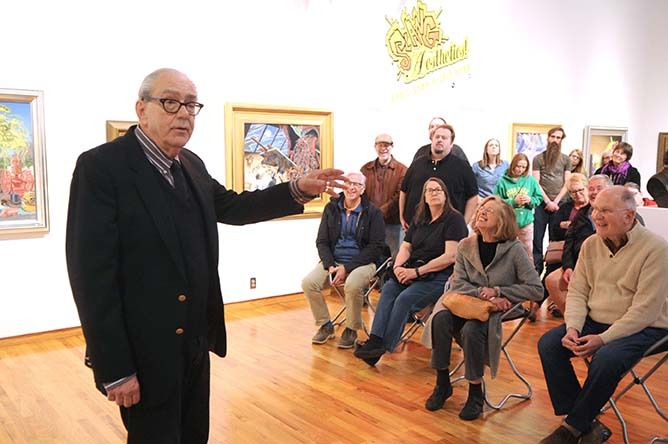 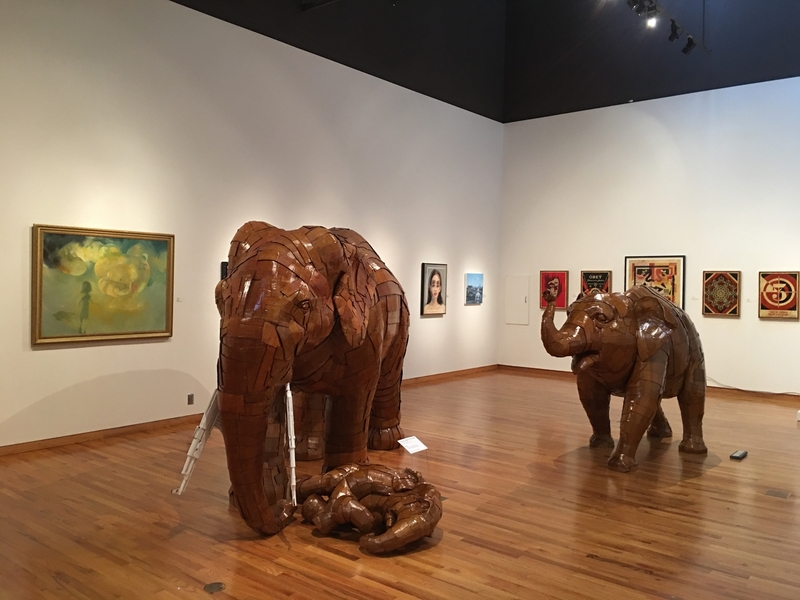 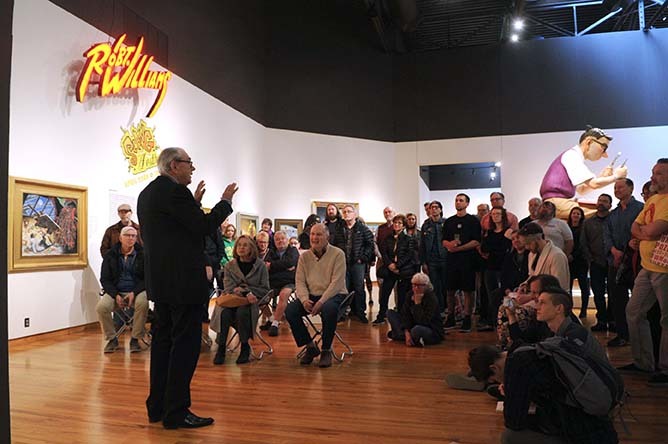 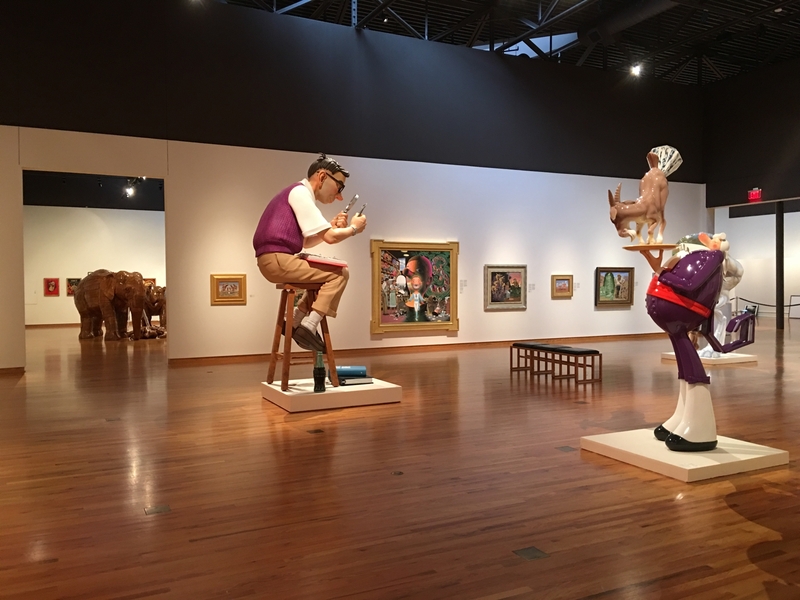 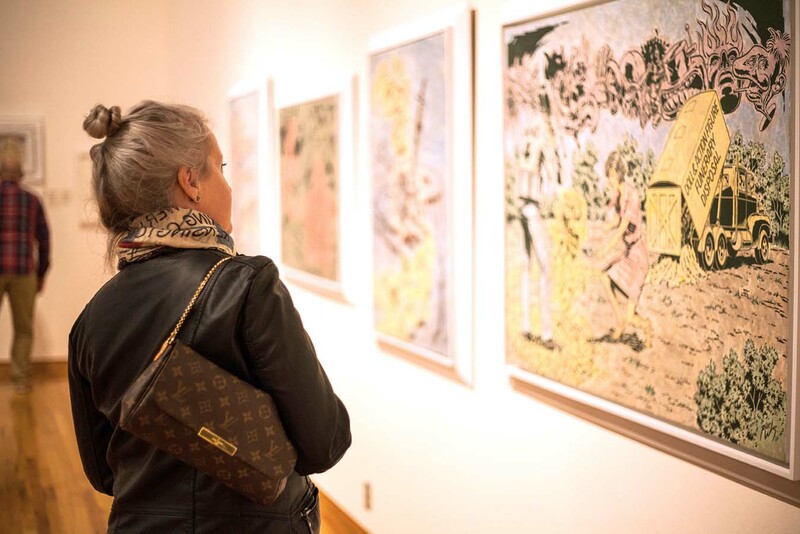 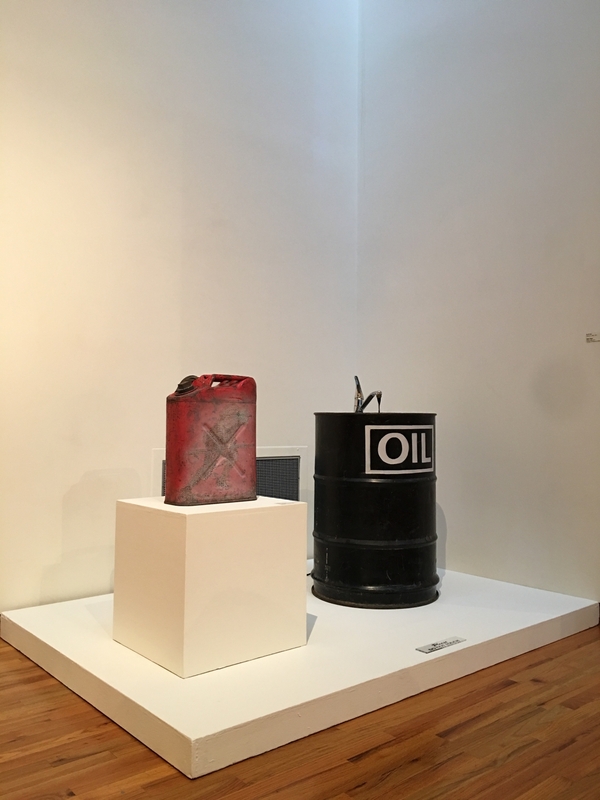 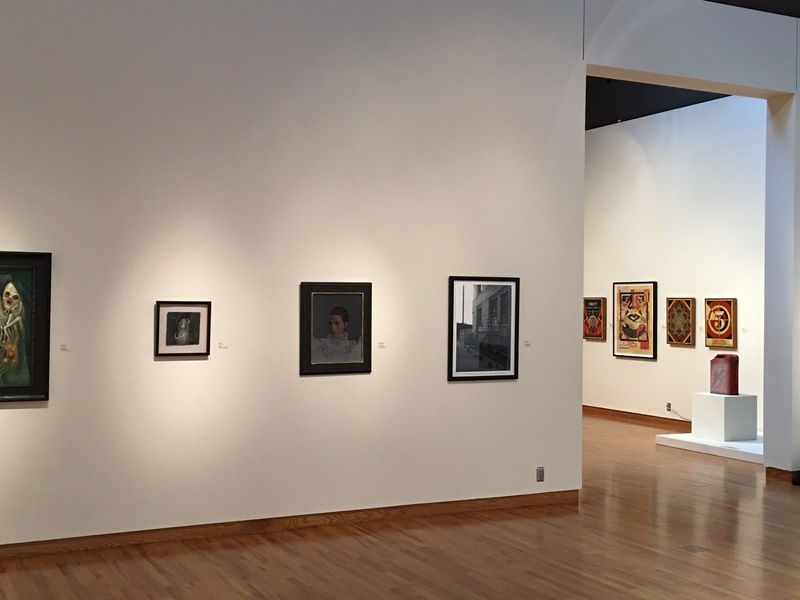 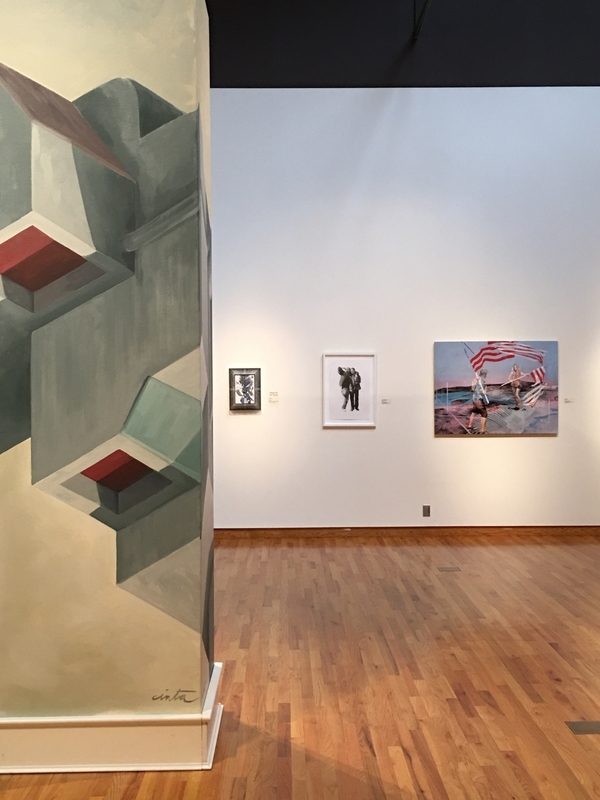 For those who are unable to travel to Indiana between now and July 9th, here is a pictorial tour of the group exhibition Juxtapozed and Robert William’s ‘Slang Aesthetics!’ currently on view at the Fort Wayne Museum of Art. 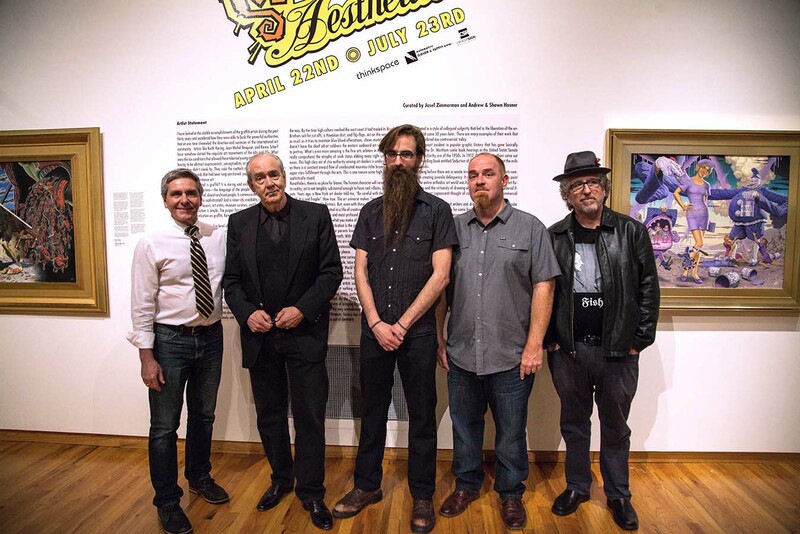 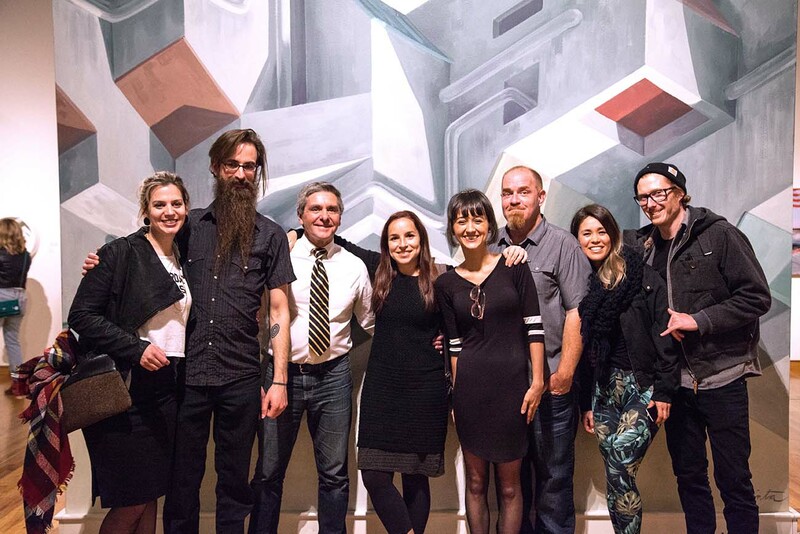 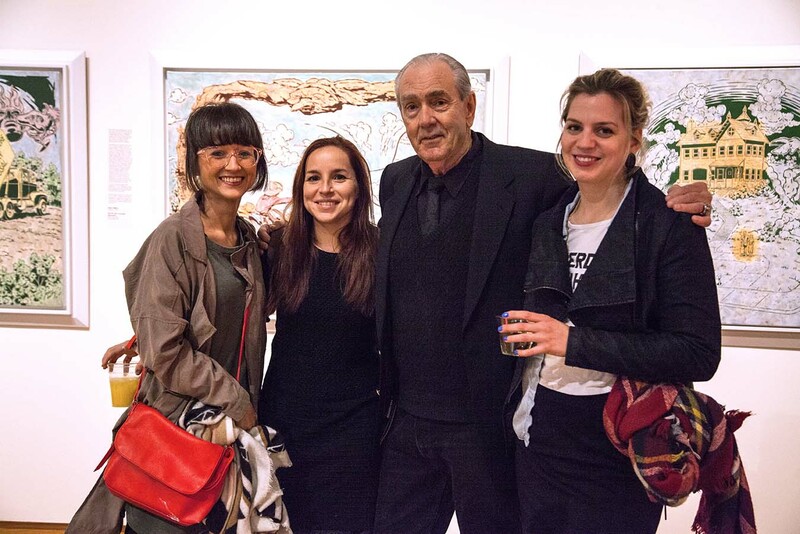 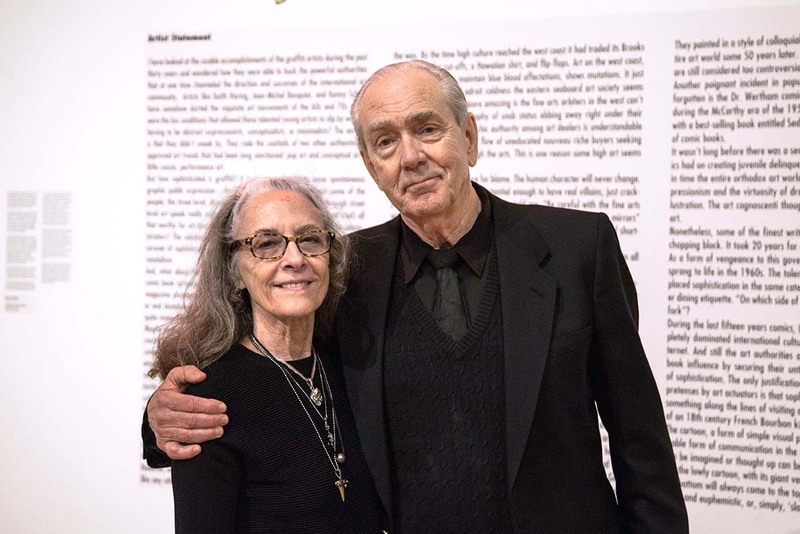 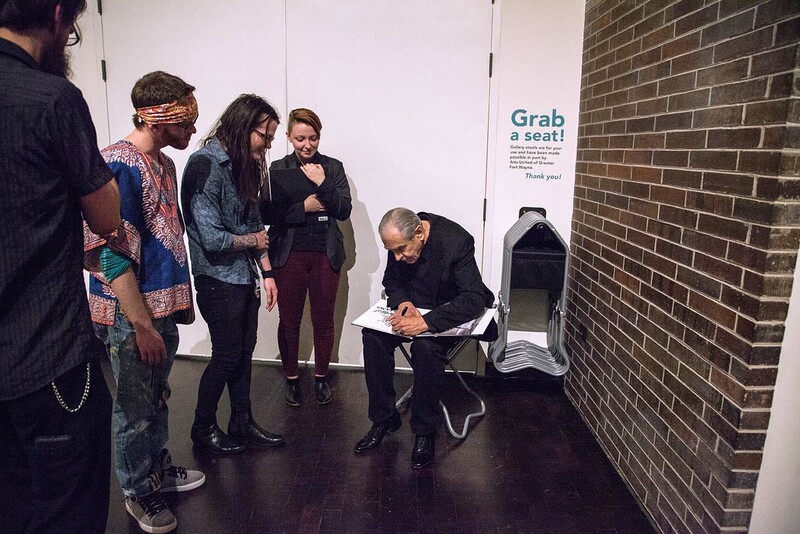 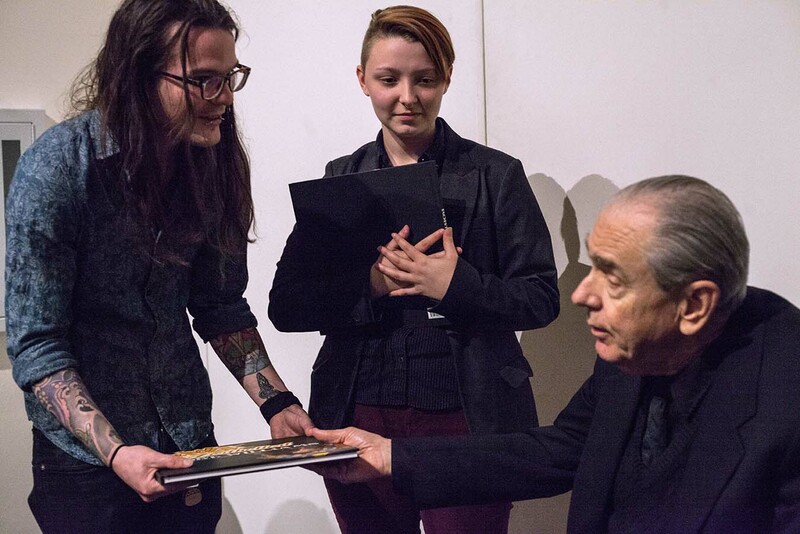 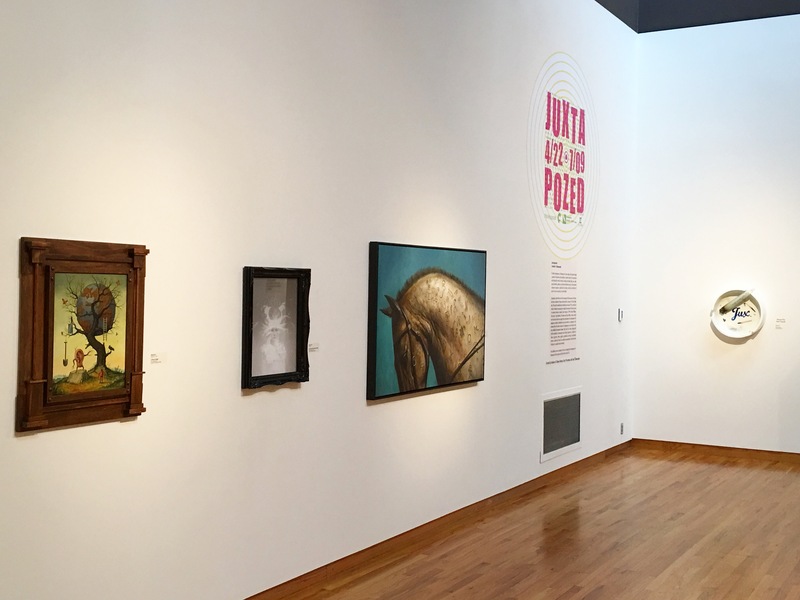 Our recap of the exhibition opening at the museum is available here. 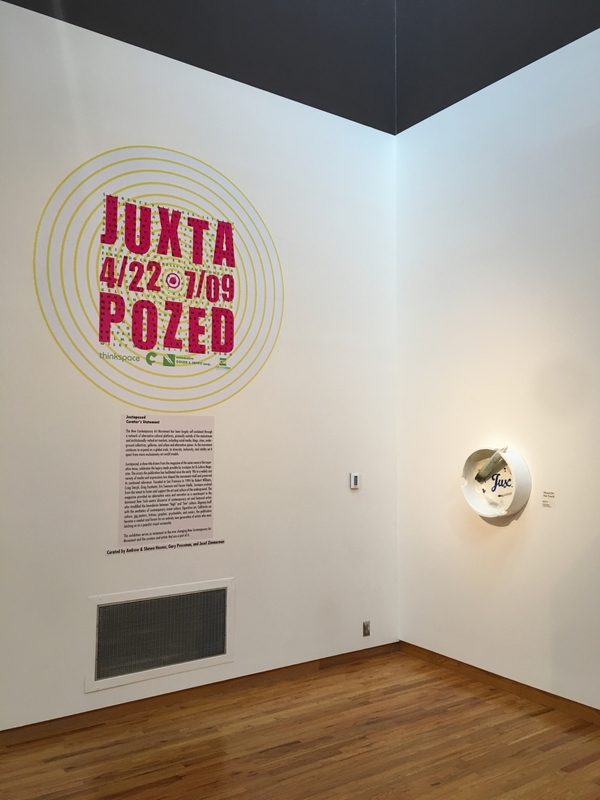 Available work from Juxtapozed and Slang Aesthetics! 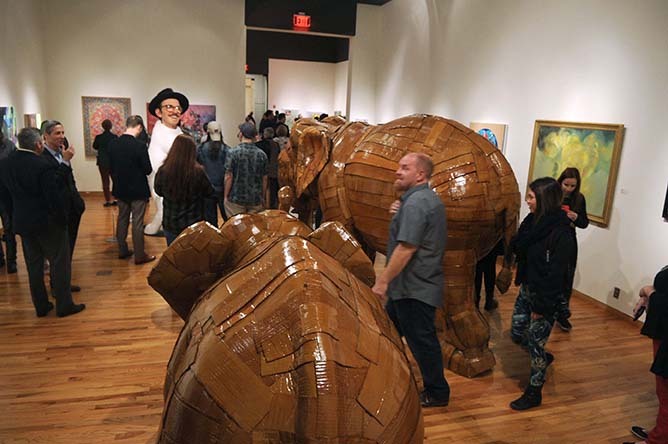 can be viewed on the Thinkspace Gallery website. 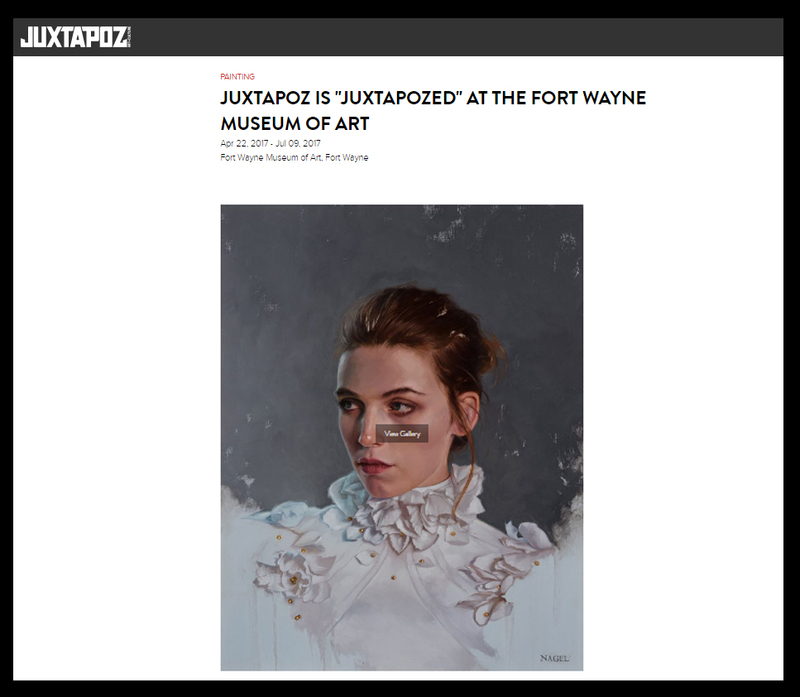 Thank you to Supersonic Art for posting a preview of “JUXTAPOZED” at the Fort Wayne Museum of Art. 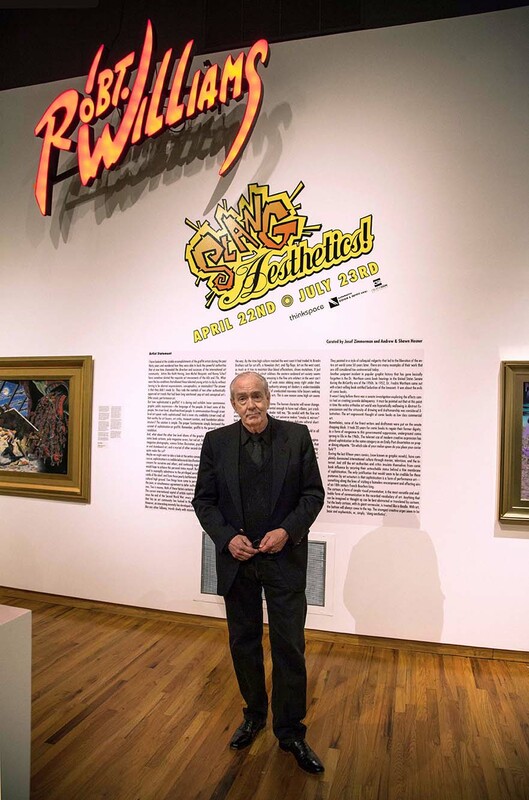 The exhibition opens April 21st alongside Robert William’s ‘SLANG! 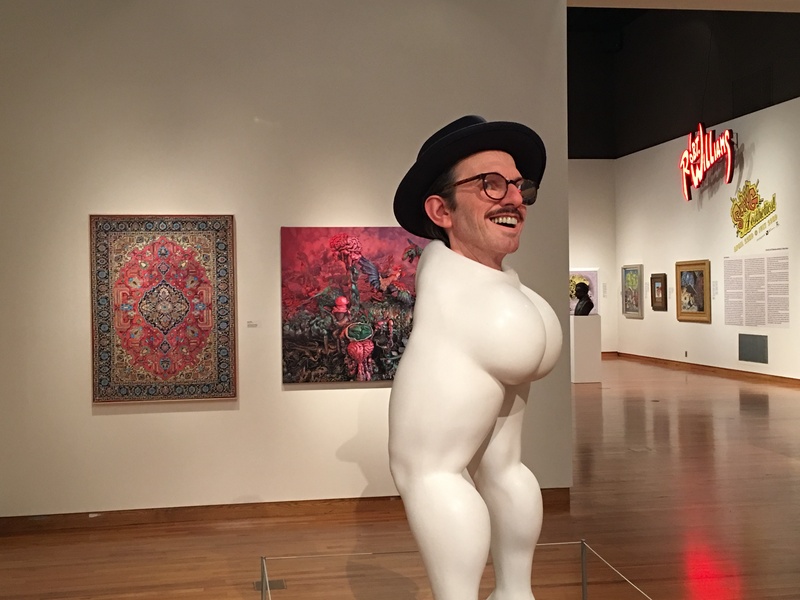 Aesthetics‘. 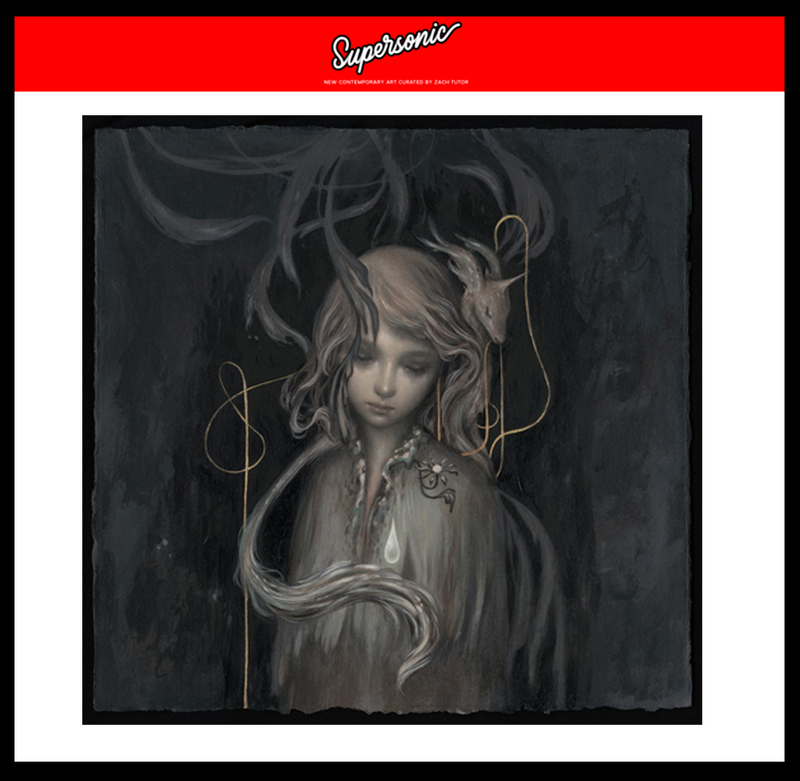 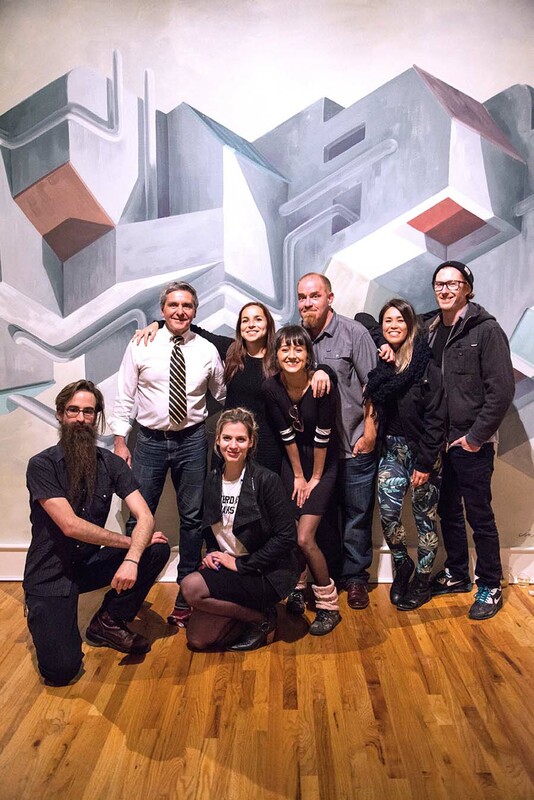 To view Supersonic’s favorite pieces from the show hop on over to their site. 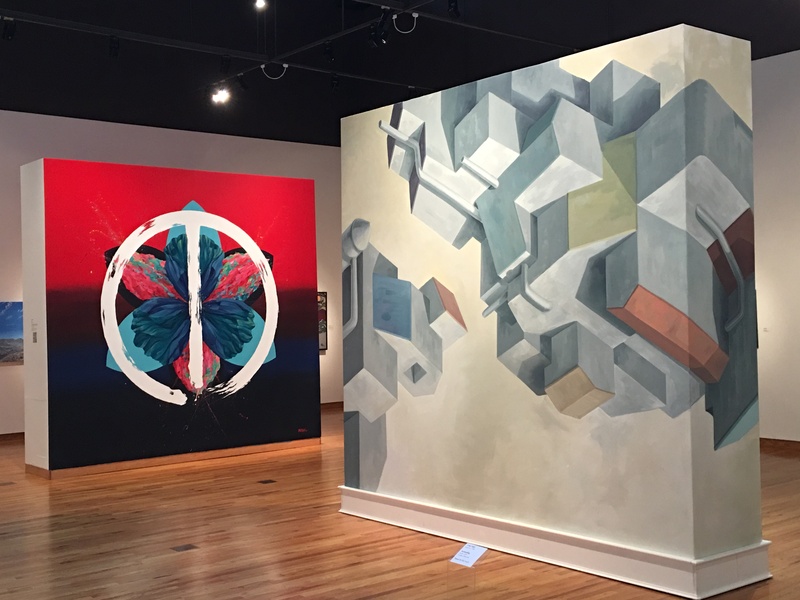 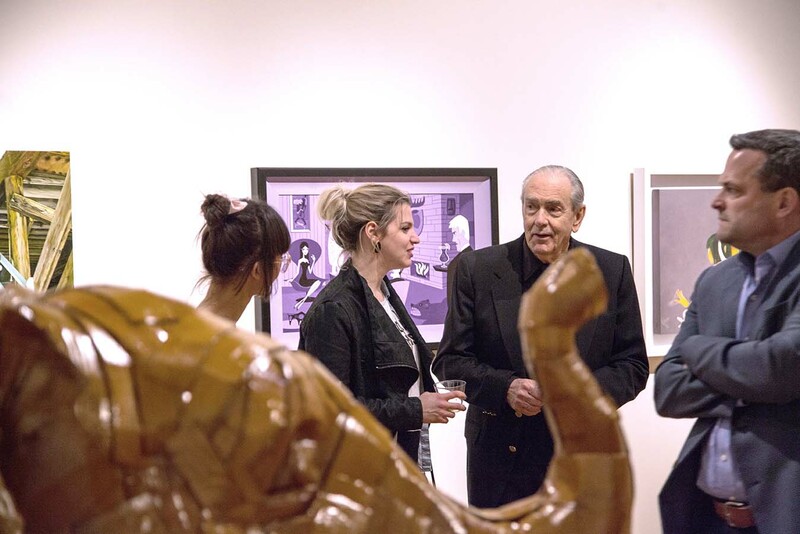 You can view the full preview of the exhibition now on Thinkspace Gallery’s website. 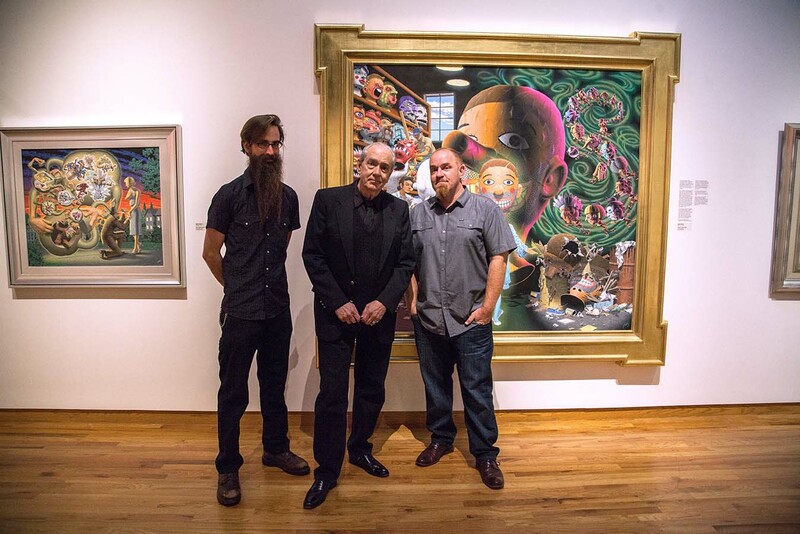 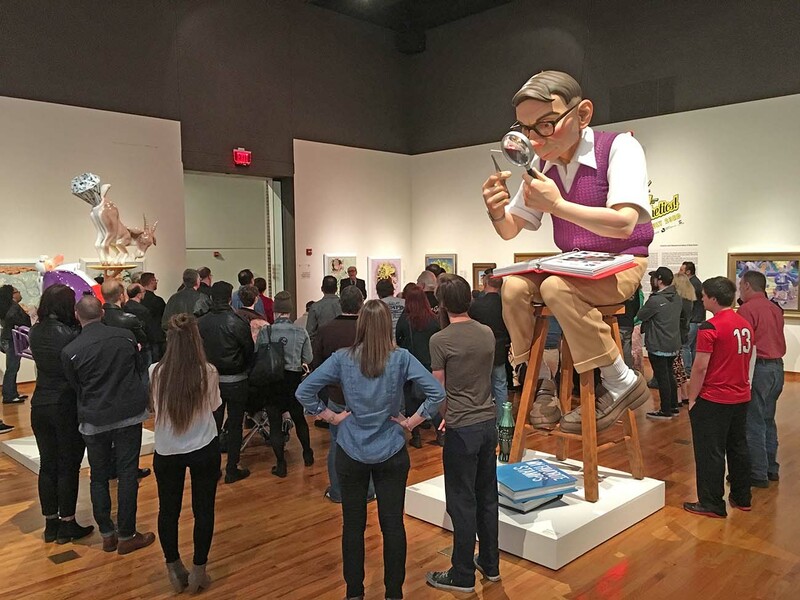 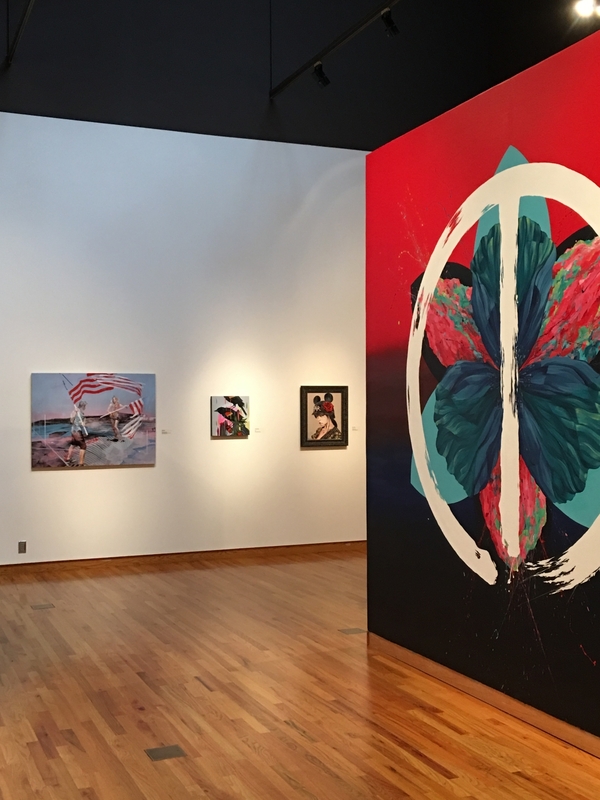 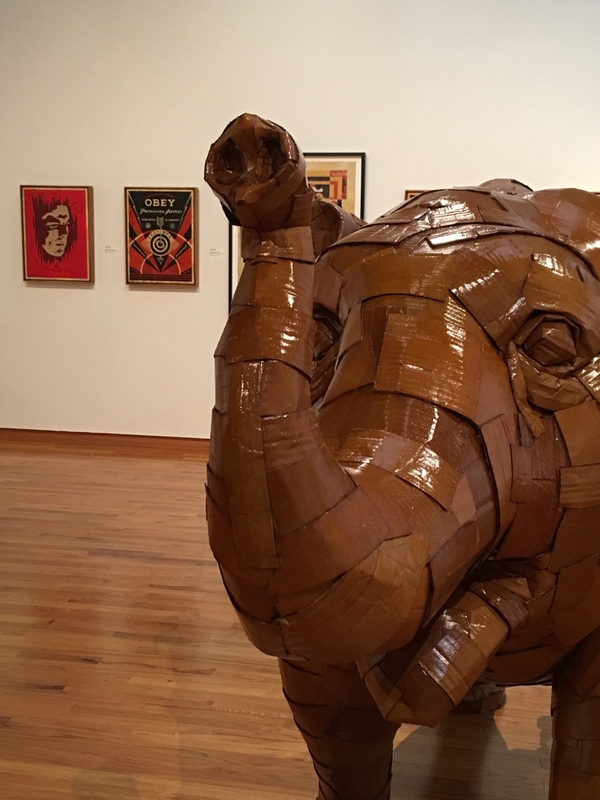 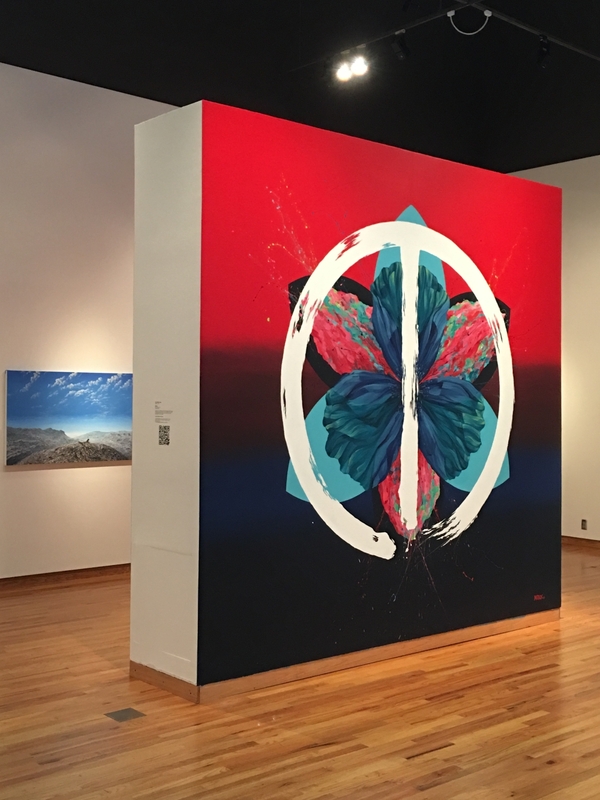 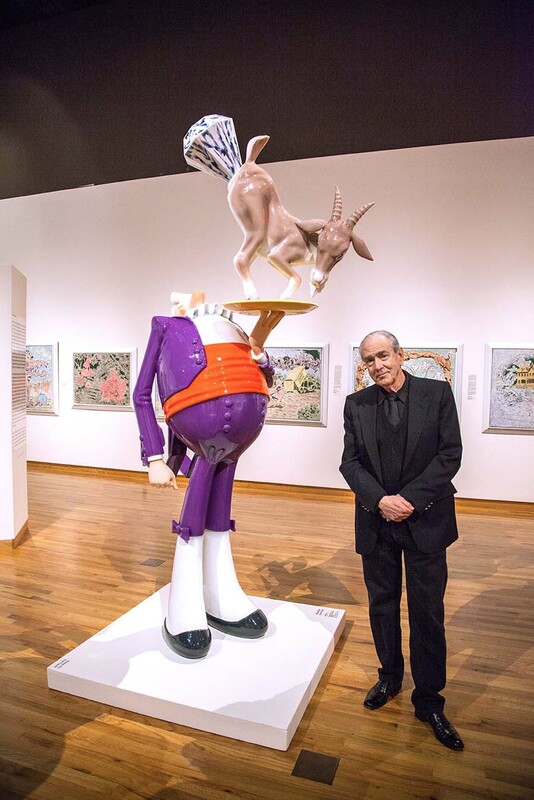 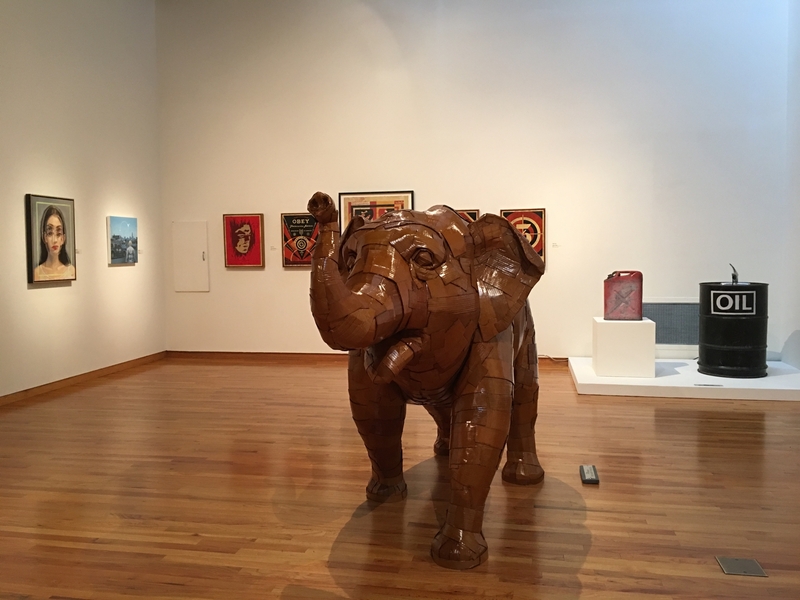 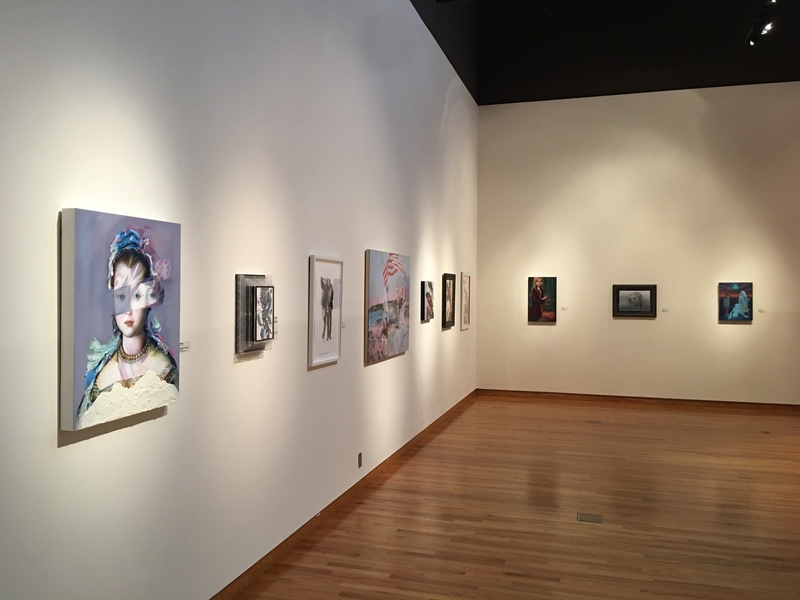 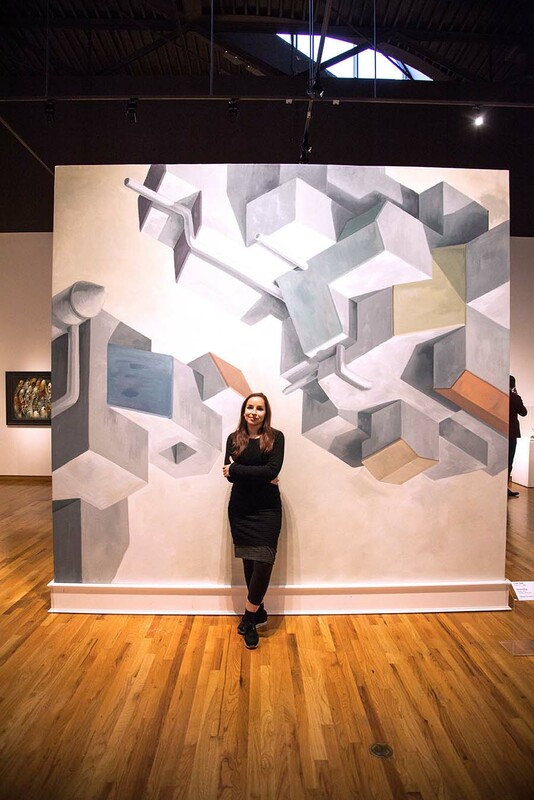 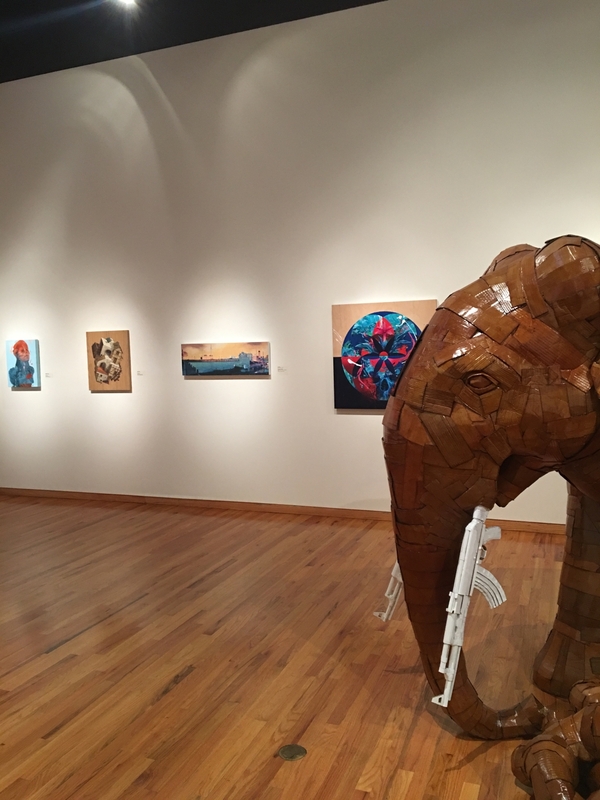 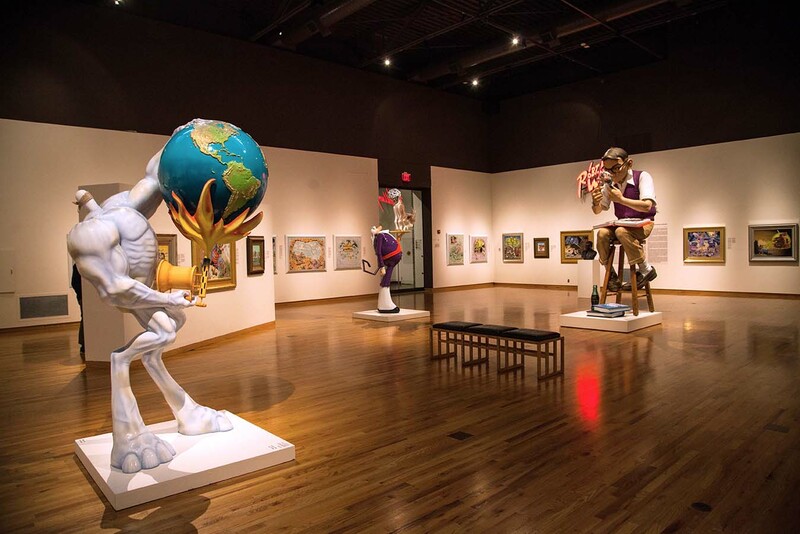 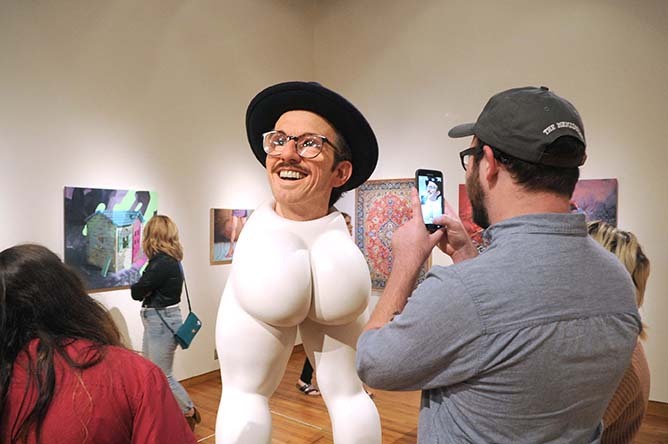 It’s like art world inception as Juxtapoz Magazine posted a preview of the upcoming “JUXTAPOZED” exhibition at the Fort Wayne Museum of Art. 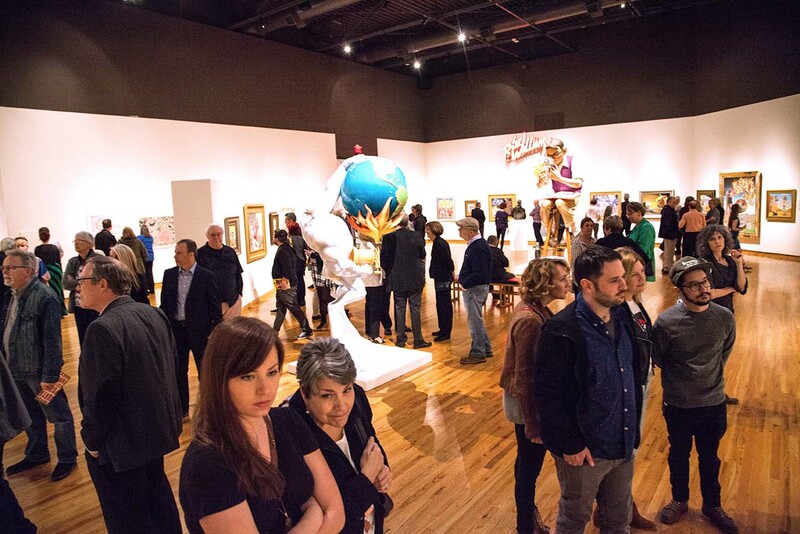 The exhibition is inspired by the New Contemporary Art movement and its influence on Juxtapoz magazine. 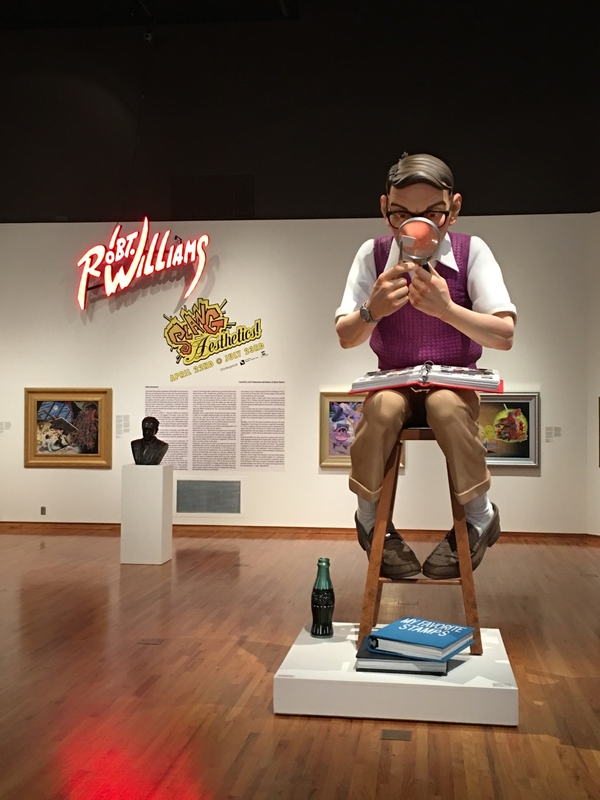 The exhibition opens April 22nd in conjunction with Robert Williams’ “SLANG Aesthetics!”, to view more information on the show visit Thinkspace Gallery’s website. 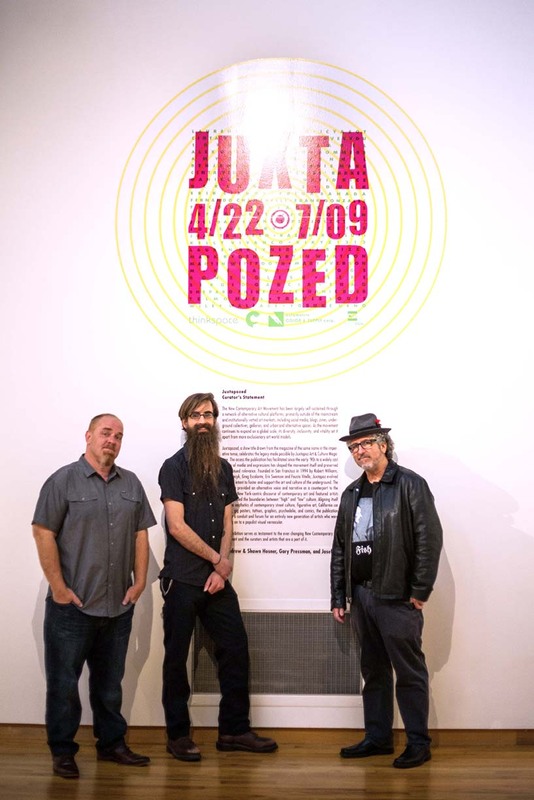 Juxtapozed, a show title drawn from the magazine of the same name in the imperative tense, celebrates the legacy made possible by Juxtapoz Magazine. 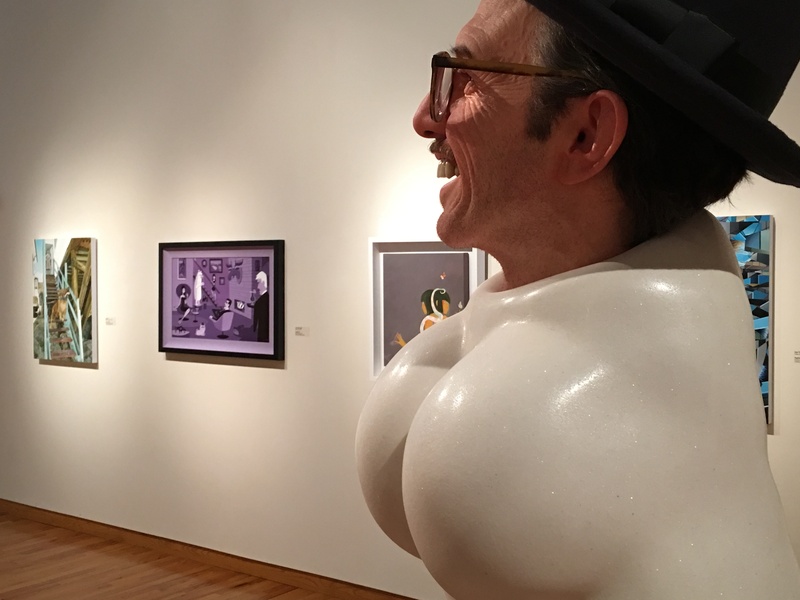 The access the publication has facilitated since the early “90s to a widely cast variety of media and expressions has shaped the movement itself and preserved its continued relevance.